A finely decorated cabinet with beautiful detailed inlay. Simple drawers are flanked with two cupboard doors that open with silk pulls. 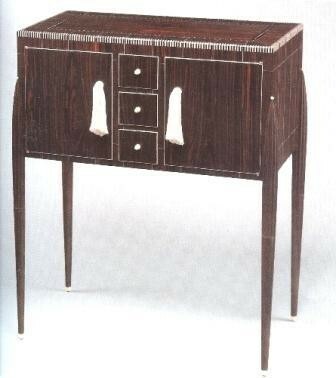 A number of variants of this cabinet were made, all are unique in their detail.